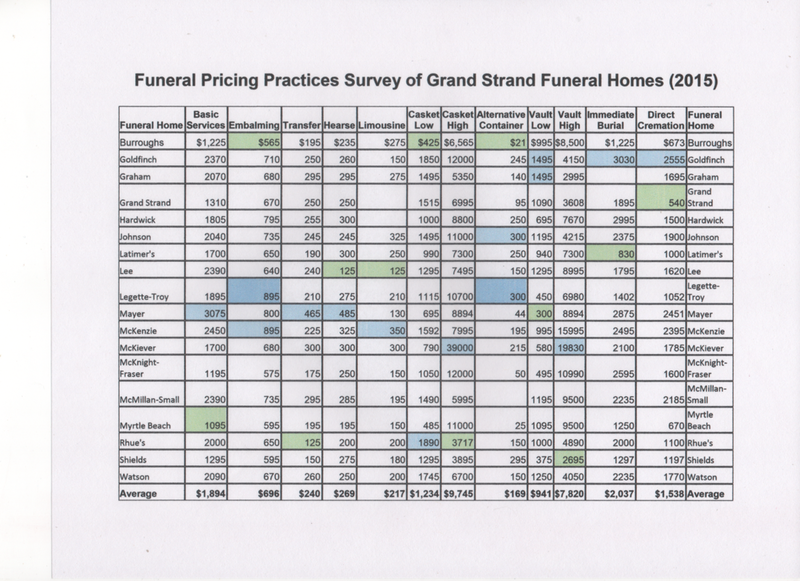 Every two years we survey funeral home prices in the greater Columbia metropolitan area. This is our latest survey, covering 28 establishments. To increase or reduce size of survey image, press ctrl key and hit + or _.
pricing survey we have conducted since 2001. 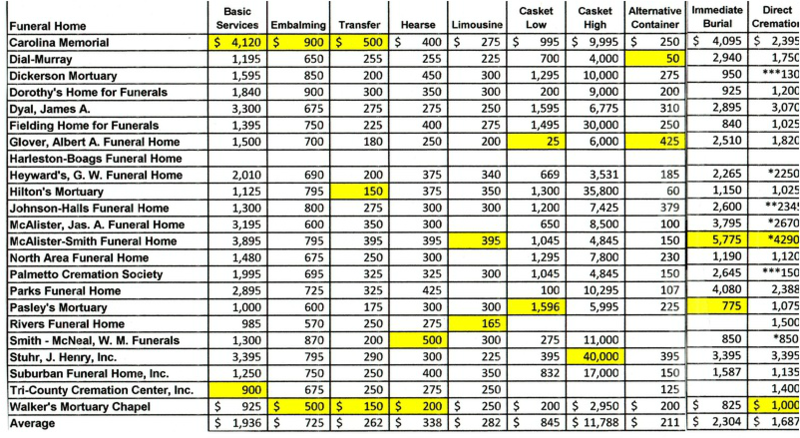 The four spreadsheets follow. purchases they will make over a lifetime. For information on how to read our surveys, click here. For instructions on how to read our surveys, click here. 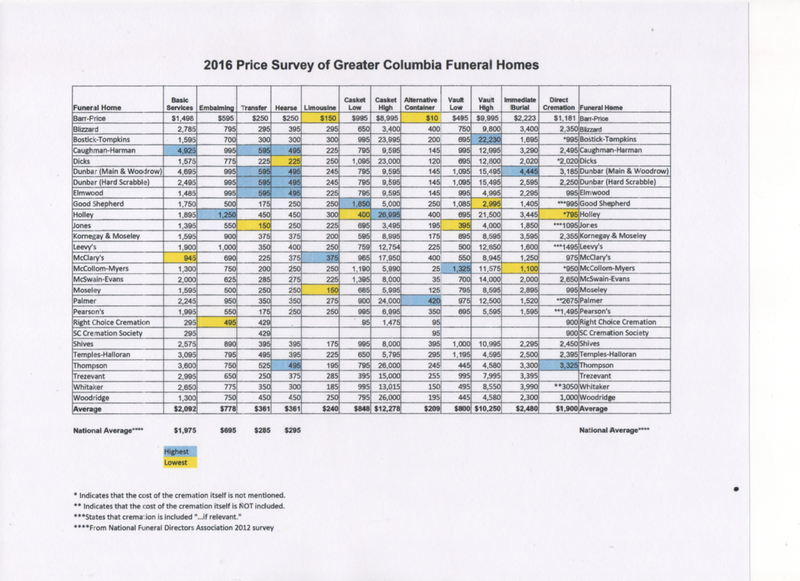 homes and/or cremation services serving the Greater Columbia area. *Indicates that the cost of the cremation itself is not mentioned. 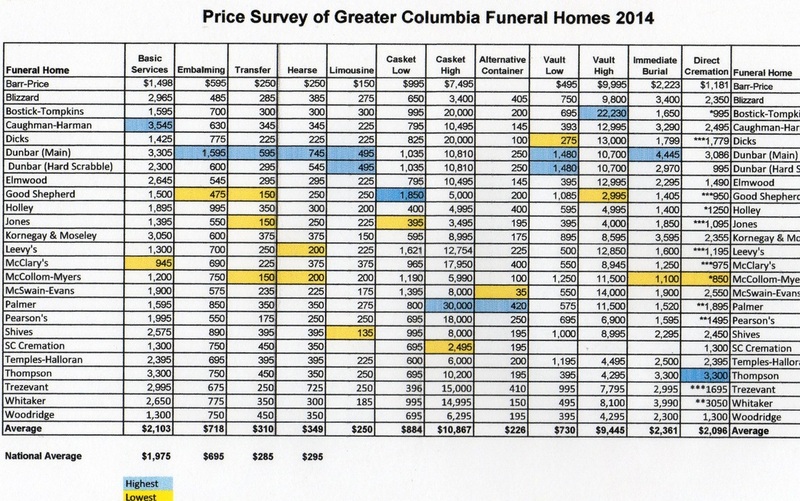 ** Indicates that the cost of the cremation itself in NOT included. *** States that cremation is included "...if relevant." 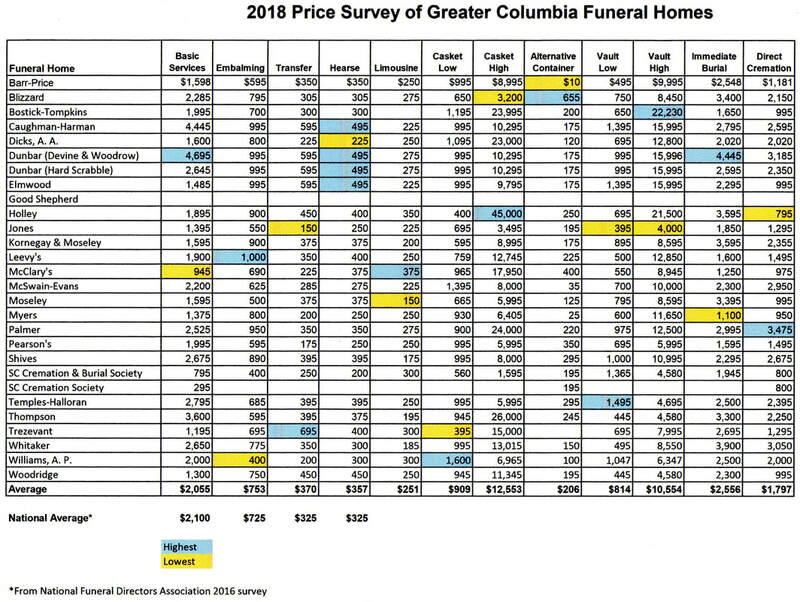 ** Includes "cremation, if relevant"
The prices displayed above have been taken from the General Price Lists provided by each of the funeral homes. Although the information was often difficult to interpret, the FCASC has made a good-faith attempt to report the price information as accurately as possible. Consumers are advised to check with the provider of their choice to confirm the accuracy of individual prices.